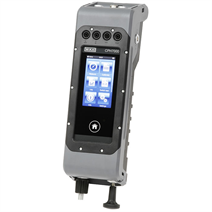 The model CPH7000 process calibrator is a precise, portable calibrator for the calibration and checking of analogue pressure measuring instruments, pressure transmitters and process transmitters. Furthermore, pressure switches can be checked and the switching point determined. 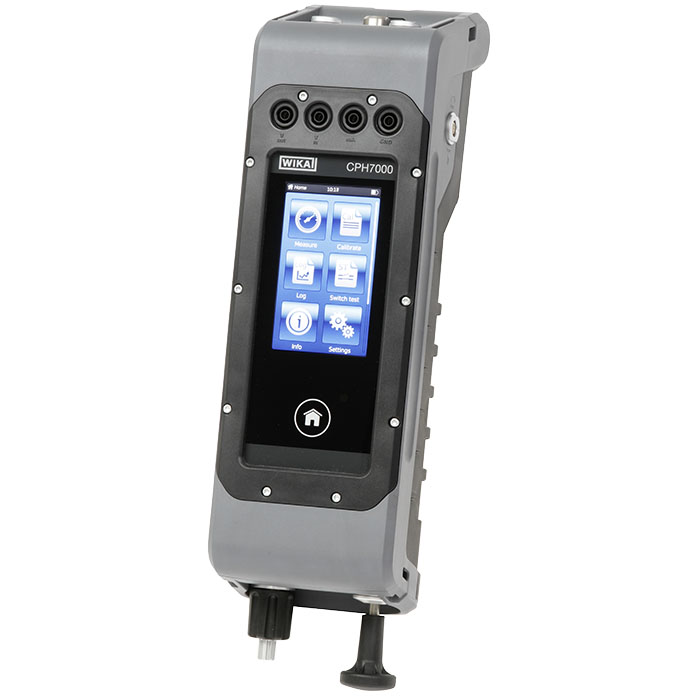 With the CPH7000, not only can transmitters be checked, but also simulated and tested. The CPH7000 optionally features an integrated reference pressure sensor and also a manual pressure generation, with which pressures of -0.85 ... +25 bar (12.3 ... +360 psi) can be generated. It is possible to simultaneously power an external transmitter via the electrical module and to measure (or also simulate) its output signal. The calibrator offers the possibility to set calibration routines quickly and easily, but also to run preconfigured calibration routines and automatically save the measured values. Over the WIKA-Wireless interface, the completed calibration processes can be transmitted to a PC. This data can subsequently be evaluated and archived using WIKA-CAL software. Thus a completely paperless transmitter calibration is possible with just the CPH7000. The CPH7000 is compensated over a wide temperature range of 10 ... 50 °C (50 ... 122 °F) and achieves an accuracy of 0.025 % of span. In order to avoid intricate calculations, the measured values can also be displayed directly in customer-specific units.